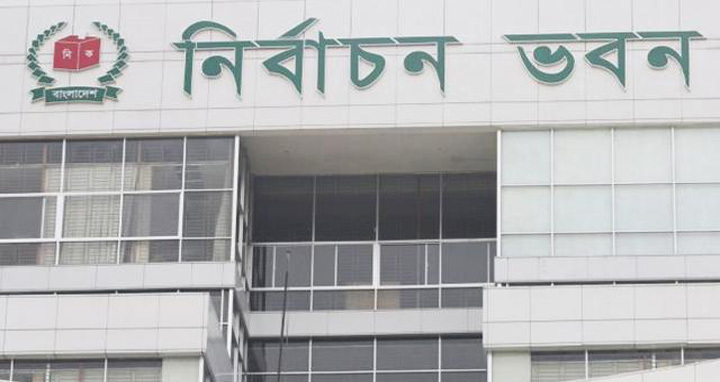 Dhaka, 30 April, Abnews: The schedule for 11th Jatiya Sangsad (JS) election will be announced in October next, Election Commissioner (EC) Md Rafiqul Islam said. He came up with the remark at a press conference on delimitation of parliamentary seats at Nirbachan Bhaban in Agargaon here. "The Election Commission has brought change in 25 constituencies among 300 parliamentary seats. But no changes has made in Dhaka constituencies," he said. Those constituencies whose areas have been delimited are Nilphamari-3 and 4, Rangpur-1 and 3 Kurigram-3 and 4, Sirajganj 1 and 2, Khulna-3 and 4, Jamalpur-4 and 5, Narayanganj-4 and 5, Sylhet-2 and 3, Moulavibazar-2 and 4, Brahmanbaria-5 and 6, Comilla-9 and 10 and Noakhali-4 and 5. On March 14, the EC announced the draft of new demarcation of 300 parliamentary seats with changes in 38 constituencies. Later, the commission received appeals relating to the draft. A total of 407 appeals were made against the draft while 224 were in favor of EC draft. Later, hearings on the appeals were held. After completion of hearings, the EC published the final list of delimitation of 300 parliamentary seats today.